Kept in Bibliotheque Nationale, Paris, France. 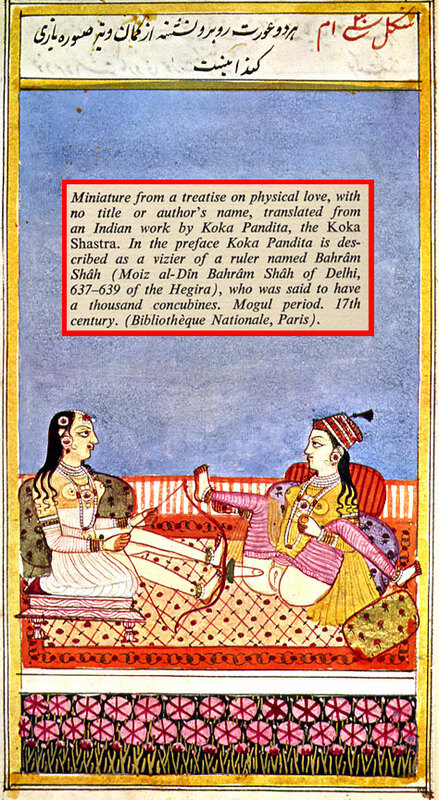 This miniature is from a treatise on physical love with no title or author's name, which was translated from an Indian work by Koka Pandita, the Koka Shastra. In the preface Koka Pandita is described as a vizier of a ruler named Bahram Shah of Delhi, who was said to have a thousand concubines.